With highly driven technical excellence, our organization has been actively committed towards offering GI Pipes. 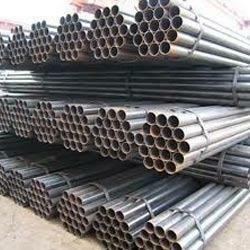 These pipes are manufactured with the help of best grade material & modern techniques in accordance with set standard. Our offered pipes are acclaimed in the market owing to its high durability.We supply our product only in A.P & Telangana States. Srinivasa Tube Distributors came into existence in the year 2014 as a SoleProprietary business with its business premises located at Hyderabad, Telangana (India). Our company specializes in the trade, supply and distribution of Plastic Pipes, GI and MS black Pipes and Fittings, Hollow Section Pipes and many more. Our products have been highly demanded by our nationwide located clients due to their robust structure, supreme finish, durability, and reasonable prices. Our products are made up of best quality material in strict adherence to industrial compliance which or vendors dutifully obeyed. With our strong channel of sales partner, we cater to the whole nation our entire product entity. Our personals consistent nature and competency has driven us to the category of top-notch organizations of the industry. To impart a feeling of convenience, we have introduced a number of flexible methods of payments.We Supply our product only in A.P & Telangana States.